Having looked for what seems like years for a two coin gold necklace like Holly Willougby’s I have finally found one. The wait has been worth every minute! This years hottest two coin has been spotted on some of the hottest, most well known celebrities to date. 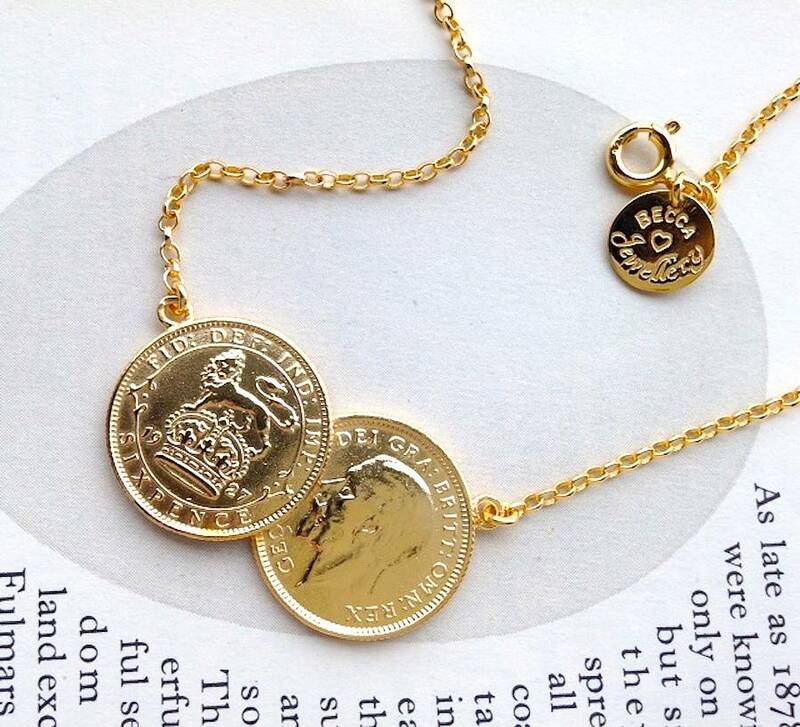 From Holly Willoughby, Michelle Keegan to Lydia Rose Bright the sort after two coin necklace in gold, silver and rose gold necklace have been a huge hit. This necklace is preppy, sassy and striking. The cool, coordinating coins really add originality to this piece. The colour of this necklace goes with everything – making it thew perfect piece to add to your outfit. Is it with stamps from a certain country? Or just an inspiration from the designer?